The new conference room at the national office is now finished. Everything is brand new–tables (with A/C and ethernet plugins), swiveling chairs, indirect lighting, carpet, electronic projection system, and more. Very, very nice. Removing two closets even made the room a little bigger. 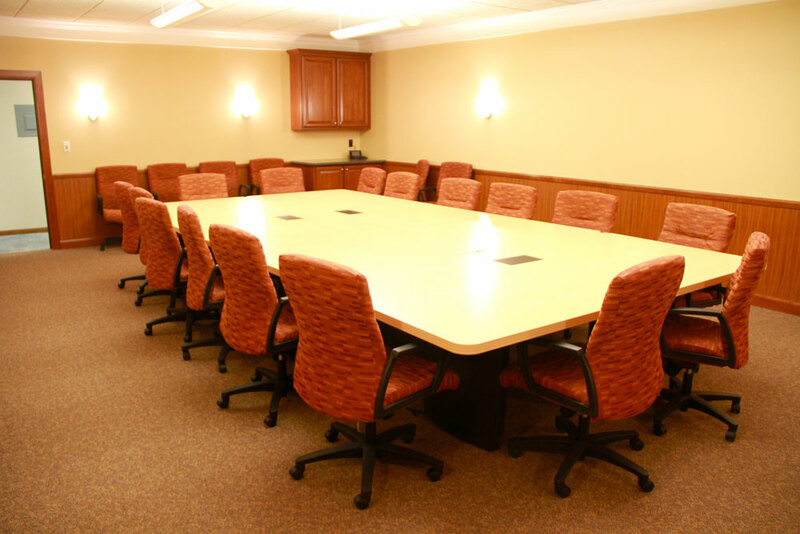 The previous conference room had remained basically the same since 1987. Cathy Reich, administrative assistant to Bishop Phil Whipple, oversaw the makeover. 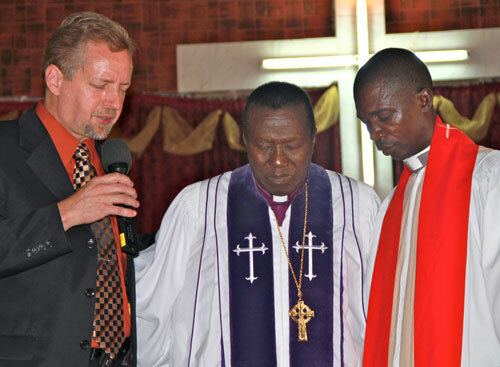 Jeff Bleijerveld (left) praying for newly-elected Sierra Leone Bishop John Pessima (right) following his confirmation at Sierra Leone National Conference in December. Billy Simbo, now bishop emeritus, is in the middle. On Sunday, January 16, John Momoh Pessima was consecrated as the new bishop of Sierra Leone Conference. The service was held at the AU Memorial church in Kissy, a neighborhood on the east end of Freetown. Rev. Pessima had been pastor of this church. Rev. Henry Allie, the first national superintendent of Sierra Leone Conference, also pastored this church when he was elected to that post in the 1980s. The Council of Ordained Elders, which consists of all United Brethren ordained ministers in Sierra Leone Conference, recommended Rev. Pessima to become the new bishop. Their recommendation was referred to the National Conference meeting in December, where it was unanimously approved. Bishop Pessima succeeds Billy Simbo, who now carries the title “bishop emeritus.” Rev. Simbo served three years in Sierra Leone under the umbrella of Global Ministries, during which time the conference began using the term “bishop” for its highest leader (the United States, Canada, Mexico, and Jamaica also use that title). Rev. Simbo has now returned to the United States. Rev. Pessima is a graduate of The Evangelical College of Theology in Sierra Leone, where Rev. Simbo was once his professor. He just recently received his graduate degree in Religious Studies from the University of Sierra Leone. “It was a really powerful God-thing,” says pastor Greg Voight of the Prayer Meeting for Heroin and Prescription Drug Abuse. This special community service was held Sunday, January 16, at Lancaster UB church in Lancaster, Ohio. 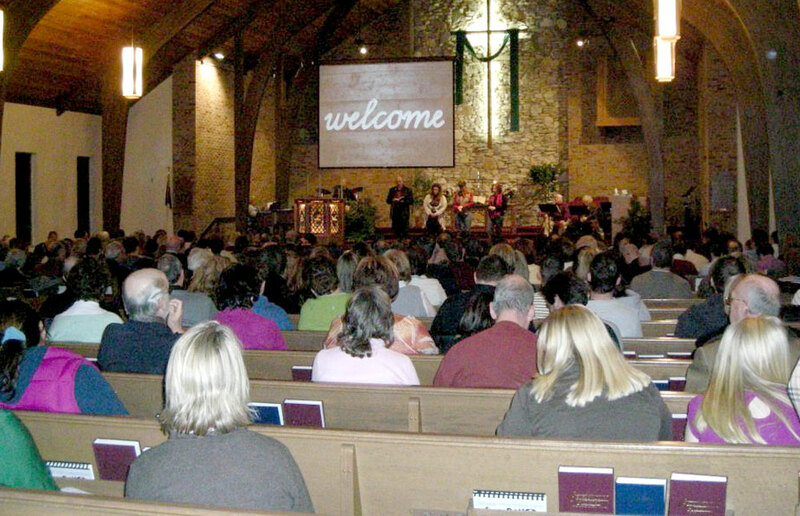 The purpose was to rally local people to pray about the heroin and prescription drug problem in Ohio. Fairfield County ranks high nationally with prescription drug and heroin addiction. The attendees included the mayor, police chief, county sherrif, drug court judges, persons from various organizations, and a number of pastors. The event was a cooperative effort of various churches of all flavors. Greg and another pastor spearheaded it. After a brief time of worship, they showed a locally-produced video called “Hooked,” which included interviews with former addicts, the police chief, mayor, doctors, and others. The typical pattern is that addiction begins with prescribing pain medication, and when they can no longer afford it, opiates are a cheap and easy-to-find substitute. There was a tesimony from a woman whose daughter was “raised in the right way in all forms,” says Pastor Voight, yet she ended up addicted to heroin. Each participating pastor prayed over a different aspect of the problem–root causes, law enforcement, medical fields, community awareness, civic organizations that work in this area, etc. Another time of worship ended the event. Neoma Yohe, 90, wife of the late Rev. Howard Yohe, passed away on Wednesday, January 26, 2011, at Lutheran Homes in Muscatine, Iowa. Neoma ws born in 1920 in Claytonville, Ill. She went on to attend Huntington University, where she met her future husband, a ministerial student. She and Howard were married in 1939 in Hunington, Ind. They served 13 churches in Indiana, Illinois, and Virginia until 1974, when health concerns forced them to leave the pastoral ministry. Howard passed away in 1995. Neoma remained a member of Jerusalem Chapel in Churchville, Va. Both visitation and the funeral will take place at Jerusalem Chapel. Visitation: 6:30-8:00 pm Monday, February 1, 2011. Funeral: Tuesday, February 2, 2011. Officiating: Rev. Dennis Sites, pastor of Jerusalem Chapel, and Mr. Harold Fry. In lieu of flowers, memorials may be made to the Jerusalem Chapel Building Fund, c/o Mrs. Lucy Plotner, 563 Hankey Mountain Hwy., Churchville, VA 24421. Rita Wild Koroma, 87, passed away on January 8 in Oxford, England. She served as a missionary teacher in Sierra Leone 1954-1962. Rita was the daughter of Rev. Fred Wild, who served UB churches in the Midwest for 48 years, including Milltown, SD., and the Rockford and Coleta churches in Illinois. She graduated from Huntington University, and later earned a Masters in History from Northwestern University. Rita arrived in Sierra Leone during the early stages of the Mattru High School, where she served under principal E. DeWitt Baker. She taught at the school for ten years, and served one year as interim principal while the Bakers were on furlough. In 1963 she married Adams Koroma, and spent the rest of her days in England. 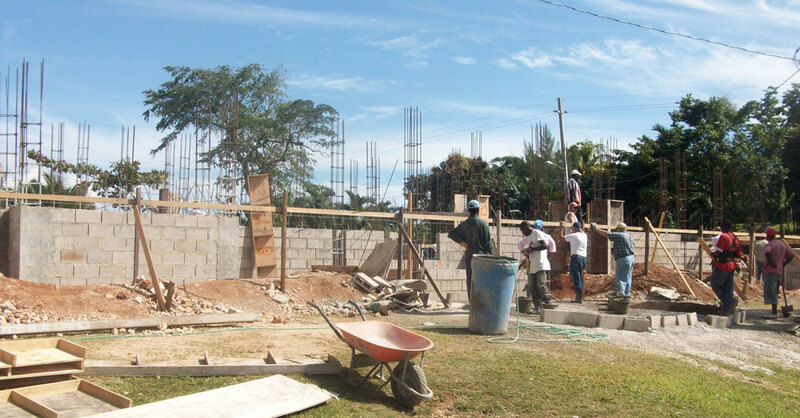 Working on the new building at the Malvern Camp in Jamaica. 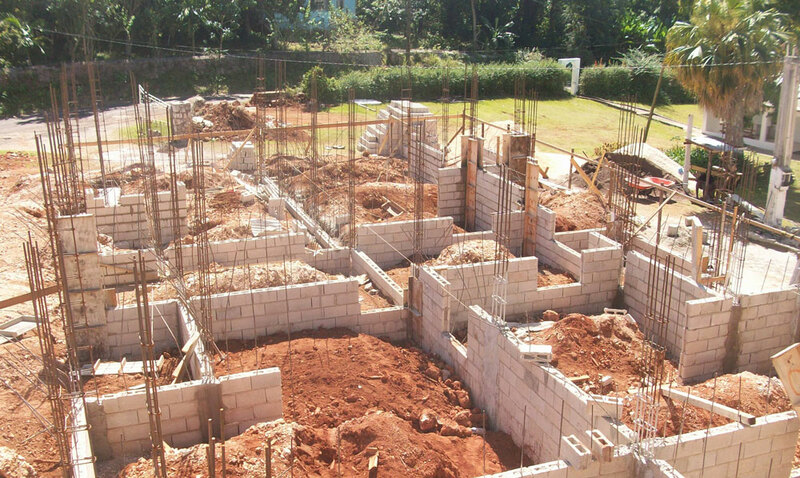 The building begins to take shape. The second annual UB Children’s Ministry Leaders Summit will be held May 17-18 in Holly Hill, Fla. The event will be hosted by First UB church in Holly Hill. You will have the opportunity to spend time with children’s ministry workers from across our denomination: learning from each other, sharing ideas, networking, relaxing, and soaking up the Florida sunshine! Last year, 17 people attended and had a great time. This event is aimed especially at persons who specialize in working with children. It is not limited to staffpersons. However, because of space limitations, it is limited to your “lead” children’s worker. This is a unique opportunity for you to fellowship with others who share your passion. We know you will find it helpful, encouraging, and fun. Best of all, it’s FREE! You only need to cover your transportation costs to Florida. Once again, we will cover your cost of registration. You will just need to find a way to get there! Look for additional information as well as opportunities to register. Youth workers from United Brethren churches throughout the US will gather in Florida May 2-5 for the annual UB Youth Workers Summit. It’s a great time for networking with fellow youth workers, sharing ideas, and learning how to do it better. Place: Holly Hill United Brethren Church, near Daytona Beach. Speaker: Denny Miller, senior pastor of Emmanuel Community Church, Fort Wayne, Ind. Cost: By April 1, $99. After April 1 the cost is $120. Because of space limitations, this is designed for the “lead” youth worker at churches. Send the person who leads your youth ministry, whether fulltime, part-time, or volunteer. For more information, go to UBTeens.org. Dorothy Burk, wife of longtime Michigan Conference minister Earnest Burk and mother of longtime UB pastor Roger Burk, passed away during the early morning hours of Wednesday, January 26, 2011. Visitation: 9:30 am Saturday, February 5, 2011. Memorial service: 11:30 am Saturday, February 5, 2011. Location: Mt. Hope UB church, 5011 Mount Hope Road, Carson City, MI 48811. A luncheon will be served in the fellowship hall immediately after the memorial service. 27 Jan Christmas in Harrisonburg, Va. 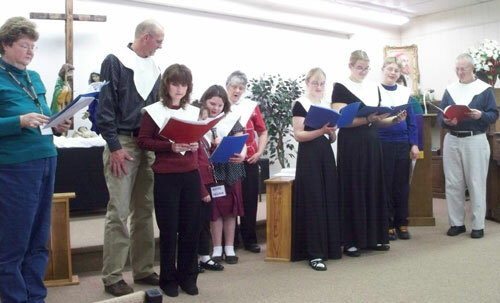 The UB church in Harrisonburg, Va., put on a Christmas play on December 19. 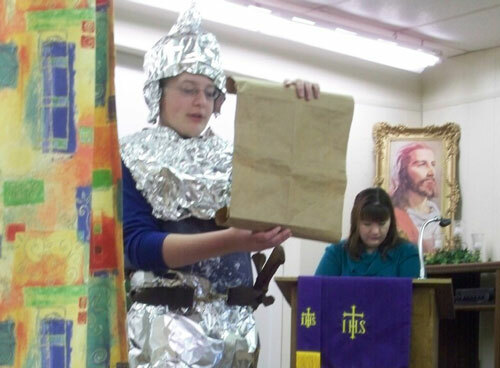 The title was “St Nicholas, The Man Behind the Mask.”Here are a couple scenes from the program.